Language plays a vital role in our everyday lives. Without language, there would be little to no interaction or communication with other people. People use language in various situations, such as informing people of one’s beliefs, how one feels, and trying to understand the world around us. The words we use are meaningful, each one filled to the brim with importance. To put it simply, language matters. 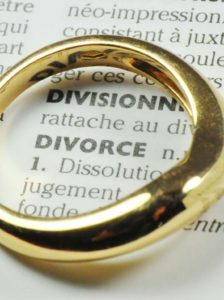 When talking about divorce, language has the potential to adopt negative connotations or promote an adversarial environment that can encourage parental conflict. For example, in the courtroom, words such as “plaintiff” versus “defendant” are often used. These words promote conflict in the sense that they give off a meaning of “win” versus “lose” or “good” versus “bad.” As the battle intensifies, the parental relationship deteriorates and animosity becomes the norm. As a result, bitterness and revenge become the hallmark of the parental relationship. On the other hand, language can be used to lay the foundation for a collaborative parenting partnership. For instance, the words, “custody,” “possession,” and “visitation agreement” are often articulated in the courtroom. These words are used to describe the legal relationship between a parent and child. In order to rid the previously mentioned formal legal words, they can be substituted with kinder and more nurturing words such as “parenting time.” By making this alteration, it calls attention to the importance of parent-child relationships as opposed to custodial and noncustodial parents. Adjusting one’s phrasing to “parenting time” also attempts to create schedules that meet the developmental needs of children. While it is not as common, some parents and professionals still use the terminology “from a broken home.” This intense phrase highlights the dissolution of the family. They fail to acknowledge the continuation of a family and meaningful family relationships. This terminology can be substituted by “two homes.” For instance, “My child has two homes, one with his/her mother and one with his/her father.” In this way, the family is restructured rather than implying the termination of familial relationships. Many divorced parents refer to their former spouse as “my ex”. By using this term emphasis is placed on the marital relationship. It focuses on the relationship that existed in the past. Since there is a continuing relationship between parents of the child, a better phrase to emphasis the present would be “my child’s other parent,” or “my child’s mother/father” or “my co-parent.” The term co-parent implies that you have equal accountability for parenting, although you may differ in specific parenting responsibilities. It also implies equal worth in the eyes of your child, and it shapes a parent’s identity. Language is important in every aspect of our lives because it allows people to communicate in a manner that enables the sharing of ideas. Consider the problem language you might use, and then focus on a way to make it a more positive use of language. When positive and encouraging language is used, your child will make note of the changes, and therefore reflect them. In the divorce arena, language is evolving in response to changing historical and social conditions. Language used in the context of divorce shapes the lives of numerous children and their families. It allows family members to reclaim their lives, and it continues to be viewed as a family system, a new family structure. Language has a strong impact on one’s emotions and self-esteem, and thinking about language more will help you come to realize that the symbolic meaning of words can be powerful enough to change someone’s view of an unfortunate or hostile situation.